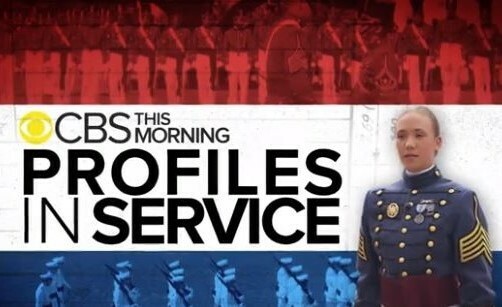 In our series, Profiles in Service, we spotlight Americans who dedicate their lives to helping others.”CBS This Morning” co-host Norah O’Donnell speaks with the first woman to lead the corps of cadets at The Citadel. 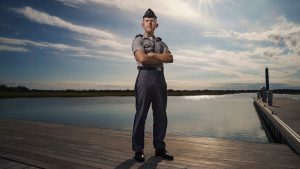 The South Carolina military college first allowed women to join the corps in 1995 under federal court order. Women now make up about nine percent of the undergraduate student body and that number continues to grow. At the helm of the more than 2,300 cadets is senior Sarah Zorn. “I didn’t want to do it because I wanted to be this ‘shatterer of glass ceilings’ or things like that. I wanted to provide the best opportunity to leave the corps better for tomorrow,” Zorn said. She grew up in a small South Carolina town, in a “give the shirt off your back” kind of household. The selflessness and determination she developed carried her to The Citadel. It’s that very kind of focus that’s earned Zorn respect, but she did face some initial resistance from the long gray line. And yet, Zorn’s rise to top cadet is remarkable given that a little more than 20 years ago, she wouldn’t have even been welcome in the corps. 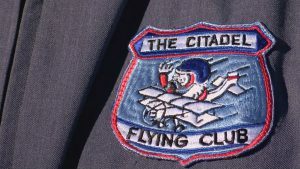 After a legal battle, Shannon Faulkner won the right to become the first woman to attend The Citadel. She left after five days. 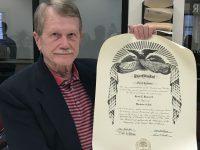 Asked if women are treated equally there, Zorn said, “Yes. I would definitely say so.” Though she admits that wasn’t always the case. 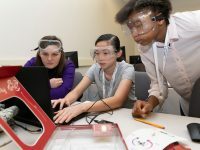 “There is a long and lengthy history of the struggles that women felt here, but I feel like we’ve come, you know, 180 degrees from where we were 20 years ago,” Zorn said. Each day begins at 5 a.m. with a full course load, regimental commander duties, and workouts – sometimes twice a day. Zorn performs at the very top of the corps in physical fitness and can do 65 push-ups in two minutes, which is more than three times the minimum for women. She’s also been training in karate since she was 10 and holds three black belts. Martial arts, she says, teaches her patience and self-discipline. Her karate teacher has said she’s the most motivated person he’s ever met. “Motivation is a desire not to disappoint…You don’t want to disappoint yourself because you realize what you’re capable of,” Zorn said. Zorn gets her mental toughness from her mother, who died when Sarah was 16. She credits her mom, an Air Force veteran, for instilling in her a strong sense of patriotism. “I hope to be a person of service, empathy, kindness because I think those are some of the fundamental things that people need in this world right now. 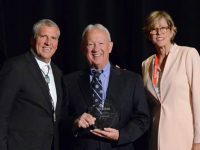 A little more leadership, a little more empathy and understanding,” Zorn said. 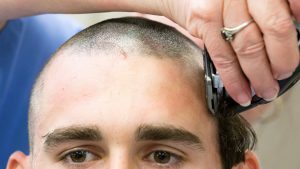 After graduation, Zorn will serve in the U.S. Army for at least five years. She wants to become a military intelligence officer and hopes to spend her career in the army. 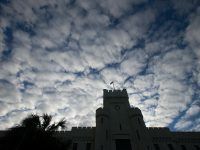 Right now, with Hurricane Florence approaching, The Citadel has been evacuated. Zorn took several out-of-state cadets home with her to safety.